The U.S. Air Force has teamed up with technology accelerator Techstars to look for startups with novel platforms that work against hostile unmanned aerial systems as part of the AFWERX program, Government Executive reported Thursday. The AFWERX program aims to facilitate collaboration with the private sector and academic institutions to develop novel technology systems designed to help Air Force personnel maintain capability edge over future adversaries. Four Air Force captains and Techstars aim to transition early-stage firms into businesses that can deliver platforms to the military through regular contracting approaches as well as perform commercial sales. Techstars introduced in February the 10 startups selected for the Boston, Massachusetts-based tech accelerator program, the report added. 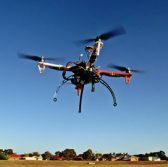 Xconomy reported that six of the 10 selected companies have technologies that focus on drones, including a radar technology designed to prevent drone collisions and a machine learning-based platform that works to conduct data collection and analysis on drone usage. The 10 selected startups are 14bis Supply Tracking, Blind Tiger Communications, Graphenest, Guardion, Notch Technologies, OmniPreSence, Robodub, SecureMarking, SICdrone and URSA Secure. Techstars said each company will receive a $20,000 investment from its venture fund and $100,000 in convertible debt financing as well as mentorship support, office space access and other resources in the next three months.